You look in the mirror and see a younger, fresher version of yourself. Your friends are all wondering what you’ve done, but they can’t figure it out. You wake up in the morning and you look great. When you finish your workout, you look beautiful. After getting out of the shower, the pool, the ocean, the sauna, you still . . . look put together. What did you do? You got Permanent Eyeliner! Permanent Eyeliner is the absolute best, instantly gratifying beauty enhancement you can do for yourself. It is also the longest-lasting Permanent Cosmetic procedure we offer. I just had a gal come in for a touch up after 19 years! Can you imagine? Not applying eyeliner for 19 years! There are three main levels of Permanent Eyeliner: Lash Enhancement, Classic and Dramatic. Your Permanent Eyeliner style will be discussed and chosen at the time of your consultation. Carmella is one of few Permanent Cosmetic Artists performing Permanent Eyeliner procedures. She is an expert at choosing colors and styles that will enhance your eye color as well as knowing how the color and shape will hold in your specific skin type over time. Lash Enhancement – This type of eyeliner is natural and doesn’t look like makeup at all. It gives your eyes the illusion that your lashes are thicker. Classic – Our most popular style, Classic Permanent Eyeliner is detectable yet still natural. Dramatic – This is for the girl who really wants to make an impression. This type of look will most likely require three or four seatings. We offer the choice of upper or lower Permanent Eyeliner as well, Carmella will help you make the best decision. Permanent Eyeliner is also the procedure that is feared most by clients and not offered by many Permanent Cosmetic Artists for obvious reasons. Carmella is an icon in the beauty industry with 19 years of experience and over 45,000 procedures performed. For this reason, she is referred to by doctors all over the area. She is also one of the only Permanent Cosmetic Artists in the area who is DOUBLE Board Certified in both the American Academy of Micropigmentation and The Society of Permanent Cosmetic Professionals as well as a Lifetime Member of the SPCP. Please ask your Technician to see their credentials! Your comfort and safety is Carmella’s first priority, in fact Carmella and her entire staff is OSHA certified guaranteeing proper sanitation protocols are followed. Topical numbing agents are used and re-applied throughout your procedure. With the sounds of spa music playing in the background and an extra fuzzy blanket draped over your body, you may just fall asleep during your procedure, many do, and wake up with makeup! 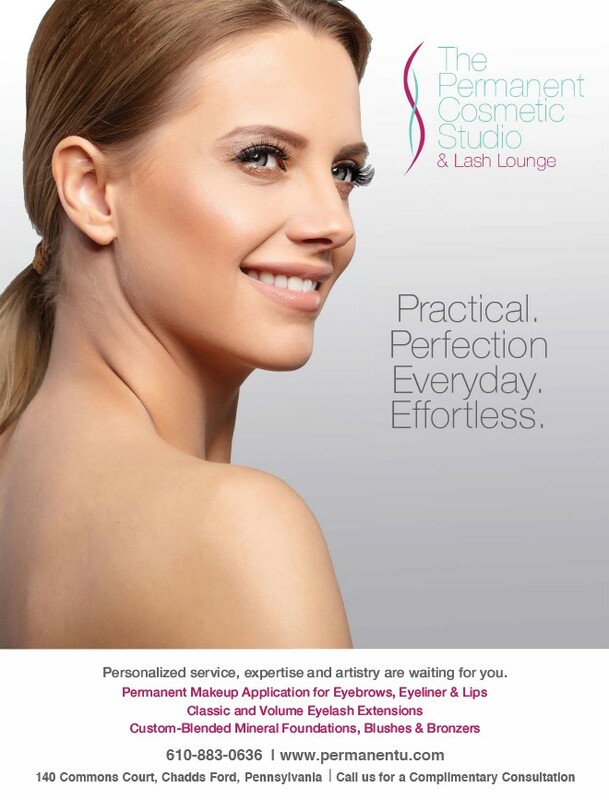 If you are interested in learning more about Permanent Eyeliner, Brows or Lips please visit our website www.permanentu.com. To schedule a consultation, call or text 610-883-0636. ← Previous Story Special Occasions and Everyday Confidence!